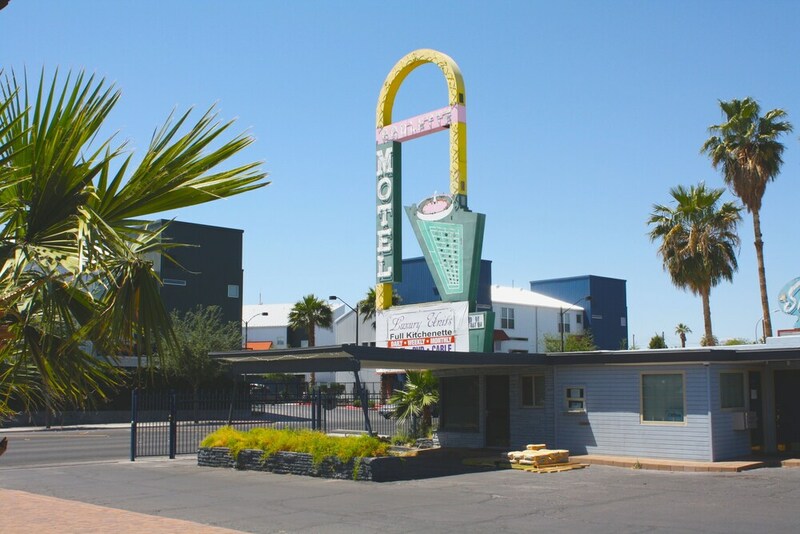 Located in Downtown Las Vegas within a mile (2 km) of Fremont Street Experience, Roulette Motel is within 2 miles (3 km) of other popular sights such as Golden Nugget Casino. Each of the 26 rooms at this motel includes a refrigerator, a microwave, and a flat-screen TV. A flat-screen TV comes with cable channels, and guests can stay connected with free WiFi. Other standard amenities include a refrigerator, a microwave, and a desk. Guests of Roulette Motel enjoy free WiFi in public areas, a business center, and laundry facilities. There's free parking if you drive. Staff members can help with accommodation requests, and provide luggage storage. Additional amenities include a picnic area and barbecue grills. Check-in is located at 1808 Fremont St. Guests must check in at the nearby Sterling Gardens Hotel, located at 1808 Fremont Street, Las Vegas, NV 89101.